I have a VP150, older model, from 2005. It is no secret I've considered it my weak point in my system. I'm wondering if the 160 would be "enough" or should I go to the 180. Room is only 20x13 8' ceilings. My problem with both is having to use stands. The 180 is really big, 17" deep is real estate. Granted I have M80's, also 17" deep but the VP150 fits nicely. But the 180 is 4ohm. I am starting to hate 4ohm speakers. 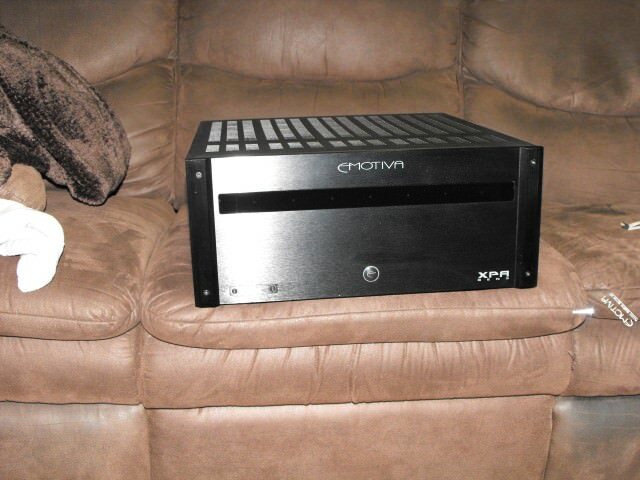 Every time I upgrade a receiver it means getting the bigger one to handle 4ohm. I only have a Denon x4100 handling the center, rear, and top fronts as is. QS8's and M3 in ceilings, VP150. So has anyone heard and compared the 160 vs 180? not that it matters but why is the vp160 only 250 watts, and the vp150/180 400 watts? The 160 will do everything you need and more. I would not worry about the "only 250 watts" - with good amplification, you will never have a problem with having too much power. Thanks. Looks like my trade in for my old 150 isn't even worth the effort. If I can find a buyer locally and maybe grab a b stock 160 in black I may jump on it. I'd love to get real wood though. But black only makes sense in my front projection theater with all black speakers. Another vote for the 160 here. Plus with your M80s the larger center looks and blends so nicely. Yeah I just got to get rid of my 150, and decide if I'm sticking with black. I know, once u go black... But not sure if I want real wood or not....wait a minute, that sounds horrible. ummm, I'll shut up now. waiting for my 160 to arrive. Was suspose to arrive this week. Had the 180 and when I moved to this room, 11.5 x 16 I just could not get it to blend correctly. Got the VP150 and finally the voices are coming from the tv or well atleast it seems like. however, no comparison the 180 was deeper and better. From a logical and conventional point of view the VP 160 should yield the best center channel experience. My own center channel is like a combo of the VP160 and 180 and it work great and the VP 100 just doesnt come close though its imaging is quite good and even being on top of my 60 the voices seem to emanate right out of the screen. I think the central located tweeter surrounded by mids is the best way short of having a vertical center. newf, how big is your room ? I wouldn't be surprised to find the VP180 too physically big (driver separation) for TroyD's room (although it might be OK if speakers were on the 16' wall) but in my ~20x20 loft it's great.